Online retailing is here to stay. Currently the industry has growing at its unprecedented best and is soon touted to become one of the strongest key factors to the Indian economy. With a comprehensible rollout of policies such as foreign direct investment (FDI) and goods and services tax (GST), Indian retail ecosystem (both online and offline) look far more strengthened and organised. The newly passed GST bill is expected to be a key in unlocking various issues faced by eRetailers today. No doubt the eCommerce sector, within a jiffy, has successfully captured consumer’s mindset and eye balls like never before. Adding feathers to the ecosystem, Indian government, with its initiatives like ‘Digital India’, is helping these eCommerce companies to grow their network deeper. 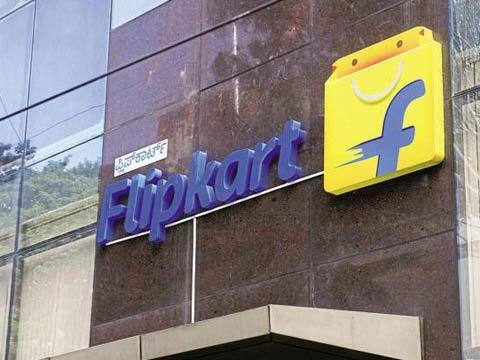 Recently homegrown eCommerce firm Flipkart, in order to comply with the newly passed GST bill, has brought some foremost changes in its organisation’s working mechanics. These changes are said to be with the norms announced by the government. As per a leading media house, the eCommerce major has recently prepared a to-do list for the GST mandate which the company plans to rollout in April 2017. The to-do list encompasses of changes around company’s operational aspects including training across the network of sellers on its platforms. Talking to a media house, a spokesperson of Flipkart said that company’s priorities over the next few months will be to make changes to its ERP system, GST training across the sellers ecosystem and internally with the organisation. The company will also engage with the government proactively during the deliberations in the law-making process. As per the GST norm, every online marketplace has to collect taxes at the source and pay it on behalf of their registered sellers on their platforms. This might become a roadblock for many eCommerce startups as they lack clarity on the aggregators versus the operator’s model. Under the newly launch GST policy, aggregators need not to pay tax while operators have to. The Bengaluru-based online marketplace has also planned to launch its new warehouse in Lucknow. This will Flipkart’s second warehouse in Uttar Pradesh and a total of 18 fulfillment centres across the country. Earlier this month, the company has hired 10,000 temporary employees in order to fulfil the whooping demand during the upcoming festive season. With its newly launched warehouse, Flipkart aims at undertaking its arch rivals such as Snapdeal and Amazon India. Online retailing is here to stay. Currently the industry has growing at its unprecedented best and is soon touted to become one of the strongest key factors to the Indian economy. Businesses can thrive and grow only in a tax conducive environment and it is obvious that the way these eCommerce companies operate at the moment cannot continue forever and would need resolution sooner than later.